In this episode, we’re chatting about how to get out of a slump. We all go through ups and downs and sometimes need a little help getting through the down times. Laura describes it as a fog that blocks us from the light and prevents us from seeing things as they really are and feeling our best. She shares her experience with this and a few things she does to take care of herself in those times. We talk about not identifying with the feelings and remembering it’s just what you feel, not who you are. 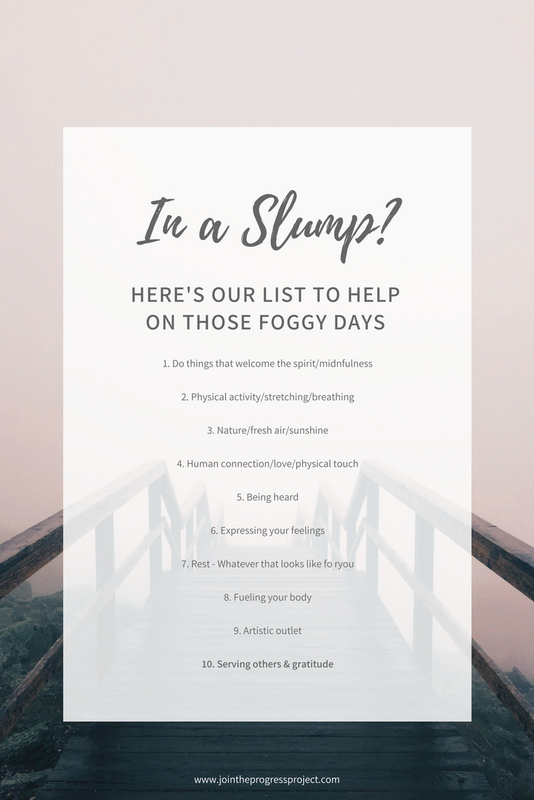 Laura shares how she finds patterns in what triggers these down times, plus a list of a few things that can help us get closer to the light that slowly clears the fog instead of inviting the fog to stay for a long time. Laura's favorite thing this week: An amazing book called Rest by Alex Soojung-Kim Pang - "Why you get more done when you work less"